Notes: <1861 - ca. 1960's. Originally the pupils of this district were taught by Miss Fairbanks in her father's cabin. 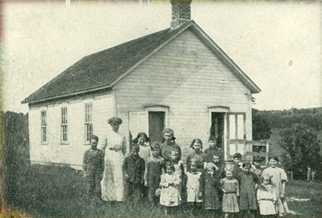 A schoolhouse was then built and Miss. Margaret Svensrud was its first teacher. In the 1850 minutes of the township it notes that there were 27 pupils but no school that year. In 1873 a new school was built in the NE4 of the SW4 of Section 32. 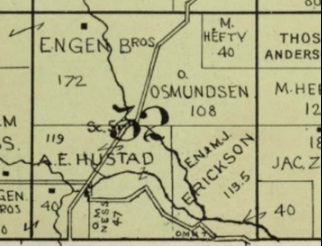 The land for this school was purchased from Bjorn Olson Skuldt and called the Skuldt School. Tilda Malone taught there for 13 years. 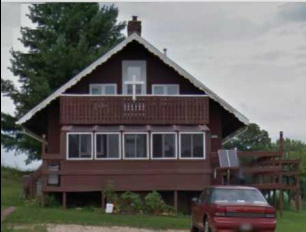 By 1939 the school is referred to as Skuldt (Plainview) School. The last mention of the school in The History of Primrose Township is 1954 although it is likely the school continued to operate until the early 1960s when the wave of school consolidation took place in Wisconsin.